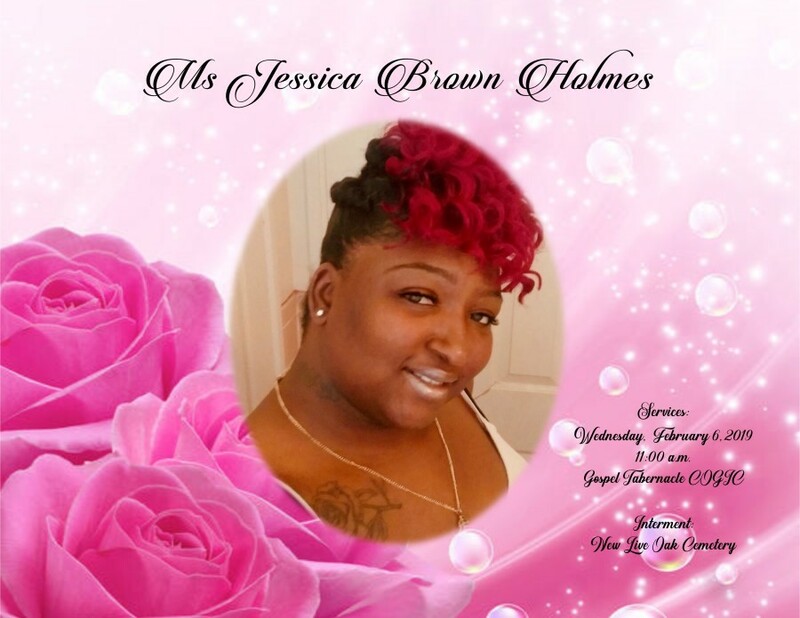 Jessica Brown, 34, a resident of Selma, transitioned into her heavenly home on January 25, 2019. Services will be held on Wednesday, February 6, 2019, at 11:00 am at Gospel Tabernacle Church of God in Christ with Minister Jesse Brown, Sr. officiating. Interment will follow immediately in New Live Oak Cemetery. Ashley's JH Williams and Sons Funeral Home humbly thank the Brown family for selecting our firm for the final rites of passage of their loved one.